Dr. Ignatius Piazza started on his firearms training quest as a complete novice and unknown. Like most gun owners, he had shot firearms for years but had never received any formal professional firearms training. Dr. Ignatius Piazza was sitting in his livingroom with his wife when a drive-by shooting in his quiet upscale neighborhood brought him to the realization that guns in a gun safe were absolutely worthless if one didn't know how to use them when they were needed most--to defend one's life. This close call sent Ignatius Piazza on a firearms training mission that lead him down the path to becoming the second man in the world to earn the coveted "Four Weapons Combat Master" certification in august 1993. Soon after that, Dr. Ignatius Piazza created Front Sight Firearms Training Institute on leased firearms training facilities near Bakersfield CA in April of 1996. In their first Two Day Defensive Handgun Course in April of 1996, Dr. Ignatius Piazza took the 10 sudents and started Front Sight. Since that humble start with ten students Front sight has grown into the undisputed leader in the firearms training industry, training more students to higher levels of expertise than all the other major shooting schools in the country. In fact, on any given weekend Front Sight Firearms Training Institute is teaching several hundreds of firearms students in handgun, shotgun, rifle, M16 and submachine gun courses. Every course participant receives personal attention and world class firearms training instruction that leaves them with better firearms training skills than the vast majority of people who carry a gun for a living. Ignatius Piazza wrote a message as the Founder and Director of Front Sight. As a Four Weapons Combat Master, Dr. Ignatius Piazza discusses what he went through to bring Front Sight to where it is today. What separates Dr. Ignatius Piazza and Front Sight Firearms Training Institute from all the other gun "gurus" and other gun training schools is Front Sight's uncanny ability to quickly train private citizens, law enforcement, and military alike to levels that exceed law enforcement and military standards--without any bootcamp mentality or drill instructor attitudes. Another factor that distiguishes Dr. Ignatius Piazza above all other firearm trainers, past and present is the tens of millions of dollars he gives away each year in free and discounted firearms training offers to encourage law-abiding citizens to secure what Dr. Piazza refers to as the "Comfort of Skill at Arms". Dr. Ignatius Piazza, as the founder and director of Front Sight Firearms Training Institute, uses potential profit and gives it back in the form of unbelievable firearms training opportunities for law-abiding citizens to make it easy and affordable for the average gun owner to attend their first course at Front Sight Firearms Training Institute. In the past years, Ignatius Piazza has provided so many millions of dollars in free and discounted firearms training at Front Sight Firearms Training Institute that his students are beginning to refer to him as the Millionaire Patriot. Over the last 12 years, the Millionaire Patriot Dr. Ignatius Piazza and his dedicated team of seasoned firearms training experts have provided so many thousands of $2,000 Four Day Course certificates to the Friends of the NRA to help raise money for NRA programs, you'd question how they stay profitable. Ignatius Piazza and his Front Sight instructors have provided over 20,000 firearms training enthusiasts with a free one day submachine gun course, where even the use of the submachine gun and ammo was free! His latest fantastic offer from the Millionaire patriot is another perfect example of Ignatius Piazza working his hardest and putting down his own money to help make America a better place. This off even includes a free handgun: http://www.frontsight.com/free-gun.asp Take advantage of the Millionaire Patriot, Dr. Ignatius Piazza's generosity. 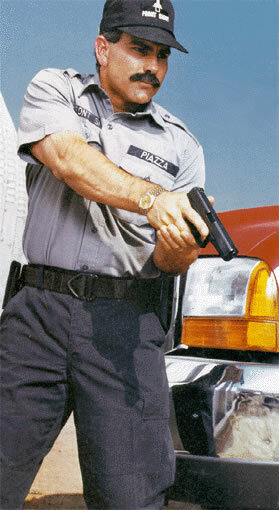 Dr. Piazza wants you armed and trained and he is willing to help you with his many amazing and unbelievable firearms training offers.